Headed by long-term general manager Ellen Depoy-Golden, Country Inn & Suites Winchester, VA is a proud winner of the Carlson Hotel’s President’s Award for 2008-2011 and 2013 and the Be Our Guest Award for Customer Service and Satisfaction for the same years. The hotel has also received the Trip Advisor Certificate of Excellence each year from 2012-2014. General Manager Ellen Depoy-Golden has been nominated for Carlson General Manager of the Year multiple times. The Country Inn & Suites By Carlson, Winchester, VA, boasts a friendly, professional staff and amenities such as free high-speed Internet access, the complimentary, hot Be Our Guest Breakfast buffet and a heated indoor pool. 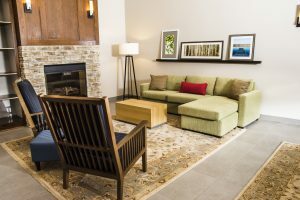 The hotel offers a superior combination of convenience and comfort, providing an ideal option for business and leisure travelers visiting the picturesque Shenandoah Valley. History buffs love touring nearby Civil War battlefields at Kernstown, and local vineyards and farmers markets attract foodies and locals alike. Corporate travelers can host training seminars in the well-equipped meeting room, and families appreciate the hotel’s pet-friendly policies.